Slacklining refers to the act of walking or balancing along a suspended length of flat webbing tensioned between two anchors (two trees, for example). Slacklines differ from tightwires and tightropes in the type of material used and the amount of tension applied during use. 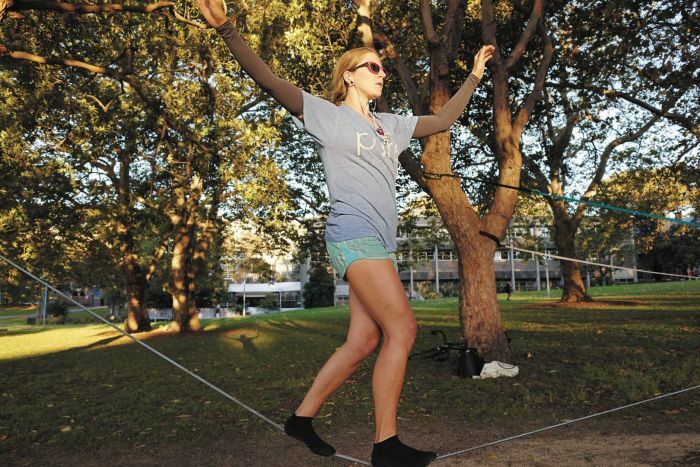 Slacklines are tensioned significantly less than tightropes or tightwires in order to create a dynamic line which will stretch and bounce like a long and narrow trampoline. Tension can be adjusted to suit the user, and different webbing may be used in various circumstances.